Drive down St George’s Road in North Fitzroy on the evenings the Soup Bar is open and you’ll find a queue stretching out the door and around the corner. Hana, head cook and owner, is releasing a cookbook of the wonderful vegetarian dishes served every night at the restaurant. Her devoted customers have sought the secrets of her recipes, in particular the famed chickpea bake, a dish so delicious it’s won awards. Now the public will have the chance to recreate these beautiful, flavoursome recipes in their own homes. There’s even a recipe for the restaurant’s wall paint, passed down to Hana from her father. 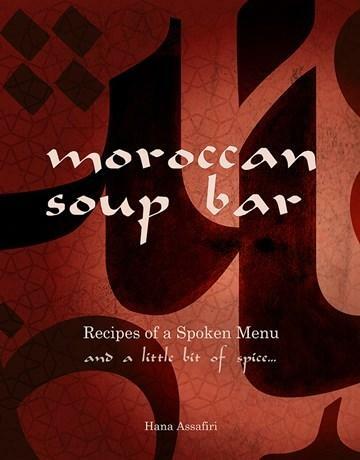 The book reflects the atmosphere of the Soup Bar - warm, welcoming and colourful. The recipes prove you don’t need to include meat in a meal to make it taste delicious. Laced with stories of meetings at the Soup Bar, of the plight of women, of Moroccan culture and of hope for a more inclusive future, Hana’s book will provide a colourful, spiced oasis in any enthusiastic cook’s recipe book collection.